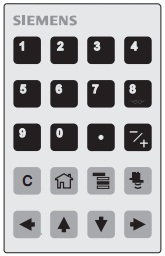 « How many credits do I need for my Honeywell paperless recorder? My Siemens infrared handheld programmer is missing. What do I do? Looking for a programmer for your radar level unit, and can only find the ultrasonic version? Need the ultrasonic, but it’s disappeared? 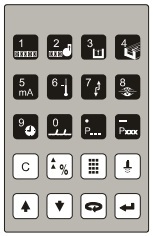 Not to worry: You can use either Siemens/Milltronics handheld programmer in a pinch! Those Siemens handheld programmers are the same size and sorta look alike until you look closely. One is for radar, the other for ultrasonics. What if you can only locate the Wrong One? Don’t worry, you can use either. If you look closely, the biggest difference is the radar handheld’s bottom row has 4 arrows, the ultrasonic only has two arrows. You’ll notice that the arrows for any given key point in different directions. But in a pinch, either handheld can be used for either ultrasonics or radar. Only the labels are different. A key in any given location (row/column) produces the same output. If your plant has a mix of ultrasonic and radar instruments and you’re likely to grab the ‘wrong’ handheld some day, print this page out, fold it up and stick it with your handheld programmer as a reference as to which key is which for the ‘other’ technology level instrument. This entry was posted on September 14, 2011, 9:49 am and is filed under Communications, Configuration, Level, Service, Siemens. You can follow any responses to this entry through RSS 2.0. You can leave a response, or trackback from your own site.